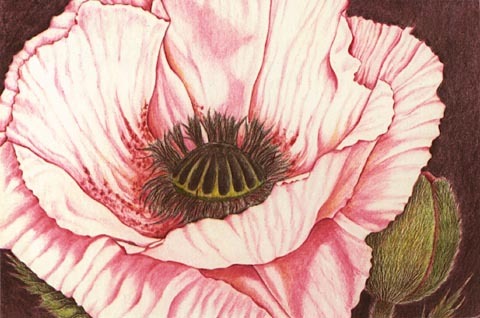 Kristy Kutch, artist and instructor, shares an informative step-by-step demonstration of colored pencil techniques using the beautiful poppy flower as her inspiration. 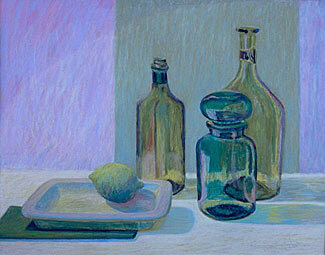 Georgiana Cray Bart discusses composition and color application in her pastel demonstration of "Green Still Life". 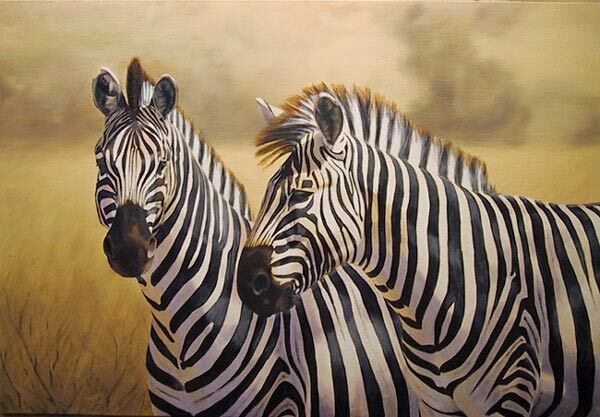 Jason Morgan teaches you how to capture a sense of depth and form in your oil paintings by using thin layers of paint or glazes. 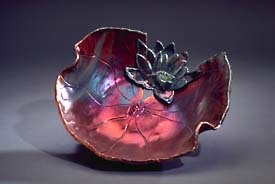 Sheila Giddens shares her experience with the process of Raku, a Japanese inspired method for firing clay, and shows us some of her delightful creations. 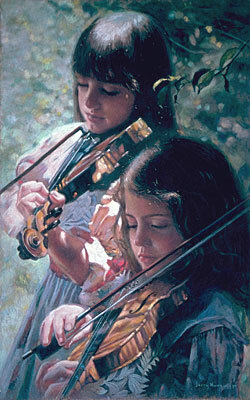 In her demonstration of "The Violinists", Jerry Hunsinger explains the materials, colors, and techniques she uses to create her award-winning portraits in pastel. 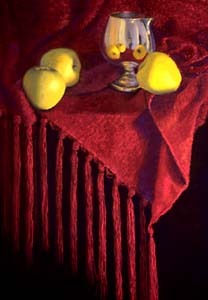 Pastelist L. Diane Johnson gives helpful advice to those working from photos, pointing out compositional possibilities and providing effective solutions. Follow along as Clark Mitchell's landscape, "Au Parc", evolves from simplified shapes and values into a beautiful sunlit afternoon in Golden Gate Park. 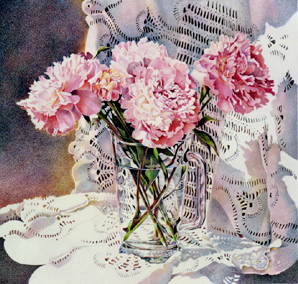 Barbara Newton shares techniques such as grisaille, juxtapositioning of colors, and preserving the white of the paper as she demonstrates the process of painting with colored pencils. 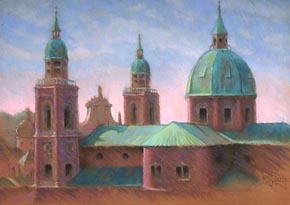 In her demonstration of "Salzburg III", Margot Schulzke discusses materials, colors, and techniques of pastel. 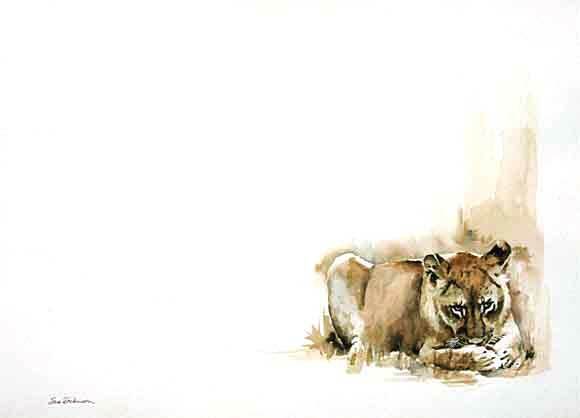 Watercolorist Sue Dickinson gives tips for applying masking fluid, creating darks, dealing with two-dimensional perspective, and anchoring the subject to the background. Learn printmaking techniques from Walter Ehrismann, Swiss painter and printmaker, as he discusses dry point, etching, and the aquatint process. 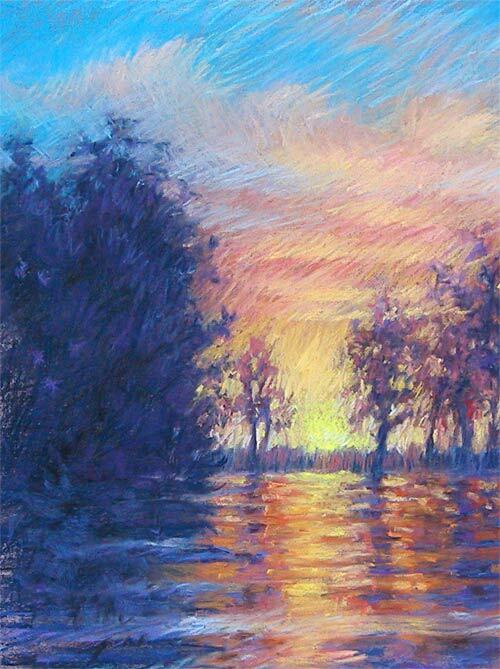 Betsy M. Kellum, a national and international award-winning artist, explains the step-by-step process she uses to create her pastel paintings. 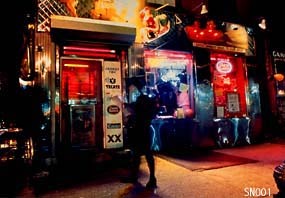 Deborah Whitehouse travels across the country capturing scenes of nightlife in a photographic series that began in New York in 1988, titled "Saturday Night". 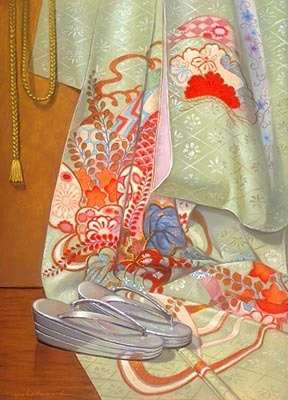 Distinguished Pastelist Marbo Barnard shares how she developed her pastel painting "Silk Kimono Series V". 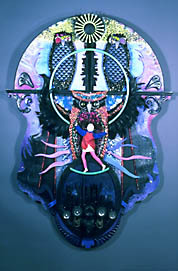 Anne Cox combines society's discarded debris to create expressive and symbolic assemblages of our culture's pressures, desires, and beliefs. Annie Greene paints with yarn to create delightfully colorful genre scenes of childhood memories. 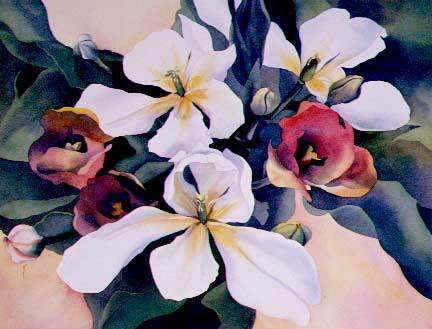 Her works warm the heart and put smiles on the faces of all who see them. With a keen eye for design and color, workshop instructor Liz Fluehr guides you through each step as she creates one of her very colorful and appealing floral watercolors. 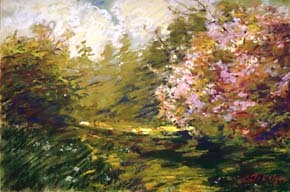 Anita Wolff, an American Impressionist who has a love for vibrant color, describes in her pastel demonstration how she captures the feel of a sunny spring morning. 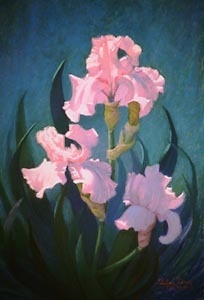 Thelma Davis demonstrates the steps involved in creating "Pink Iris", from preparing the support to glazing techniques and softening of edges.